Heriz is informal village rugs that are produced in the city of Heriz in the province of East Azerbaijan in North West Iran. These rugs are woven with the Turkish knot. 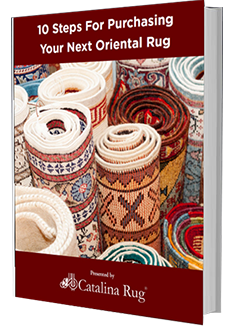 Heriz rugs have a few very distinct characteristics that set them apart from other Oriental rugs and make them easy to identify. 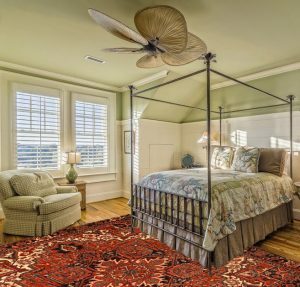 These rugs usually feature a large, boldly colored central medallion. The medallion is typically made up of an assortment of colors, most of which belong to the warmer palette. They also have large, conspicuous corner-pieces, which are filled with foliage and angular oak leaves. 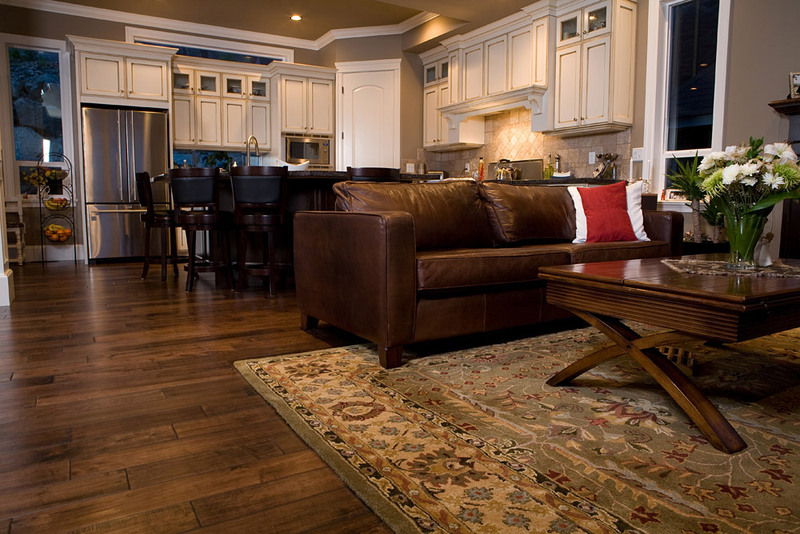 There are a few other designs in addition to the rugs with large-sized central medallion and corner pieces. Some Heriz rugs consist of repetitive lattice designs, multiple medallions scattered all over the field, or all-over designs made up of numerous small motifs placed randomly or in a sequence. As with most other types of village rugs, Heriz rugs are loosely knotted using the Turkish knot, with a knot count that ranges from about 40 knots per square inch to about 100 knots per square inch. Weavers used a finer knotting when creating silk Heriz rugs. The history behind Serapi rugs is interesting. Sometime in the 1930’s, there was a high demand for a type of Heriz rug that was discontinued. In order to capitalize on this high demand and not lose out on potential sales, rug buyers created the Serapi pseudonym to describe that particular type of Heriz rug. 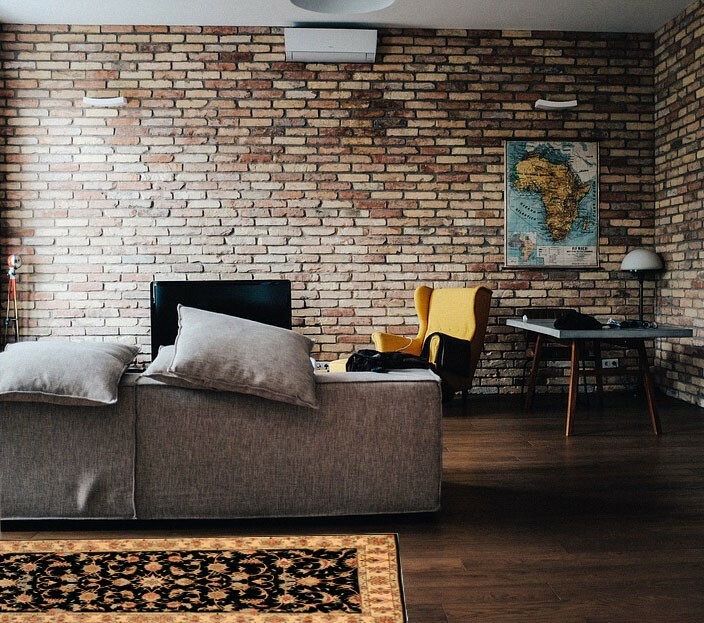 That name stuck on and is still being used to describe a high-quality rug that is manufactured in the district in the village of Serab, located in the Heriz district. 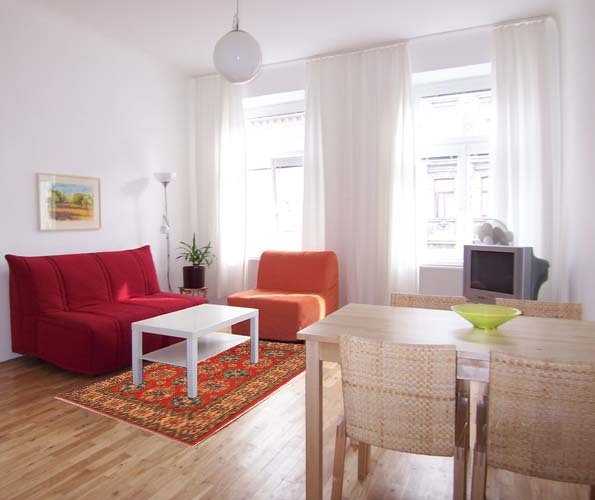 In short, a Serapi rug is a distinctive type of Heriz rug. It is not always possible to tell the difference between a Heriz and Serapi with a casual glance of the rug’s top side. One definite way to tell the difference is by turning the rug over and checking out the underside visually and by running your hand across the weave. If the knots are not pressed down and the warp is very conspicuous, it is a Heriz rug. When you run your hands across the weave of the Heriz, it will feel very bumpy to the touch. When you turn over a Serapi rug, the underside looks smoother. During the weaving process, the weavers press the warps and rows of knots down firmly so that they are not noticeable on the underside. It also feels smoother when you run your hand across the weave on the underside. Serapi rugs also use a more limited color palette, which makes them more versatile in terms of which décor they can be matched with. Serapi rugs are much more expensive than Heriz rugs as they are rarer, more artistic and created using more expensive materials. Most of them are woven before 1900.